The last time I was in Dubai, I stood on the 124th floor of the Burj Khalifa, the world’s tallest building, and marvelled at both man and nature: at the extraordinary collection of buildings at the foot of the Burj, the tower itself, and the artificial islands built along the coast; and also at the flat, brown expanse of the desert that not only reaches to the horizon, and beyond, but is still in evidence within the city, in areas not yet claimed. People here in transit, like me, generally head for the malls with their thousands of shops and novelties like ice rink, aquarium, snow slope, to make the most of the man-made attractions. 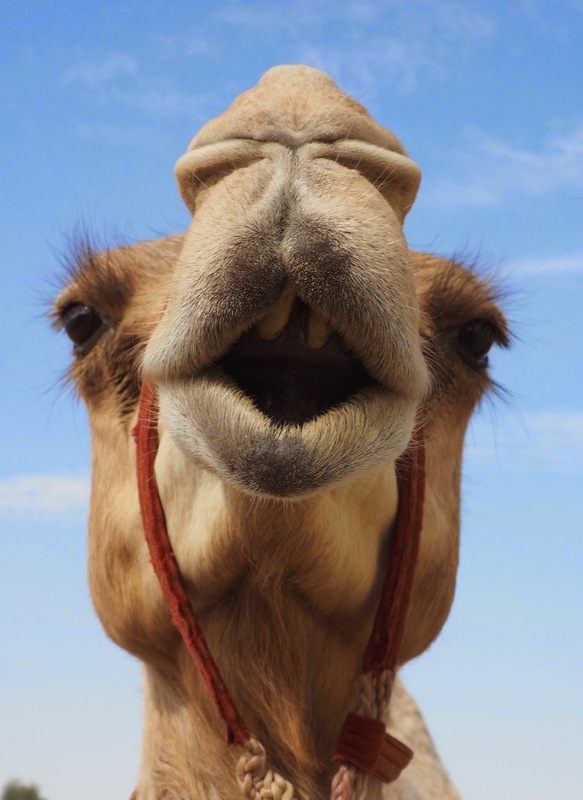 Some also go on a desert safari with Arabian Adventures and other companies, as I have a couple of times, getting closer to nature though most of it is through a car window - or, you can do what I did. 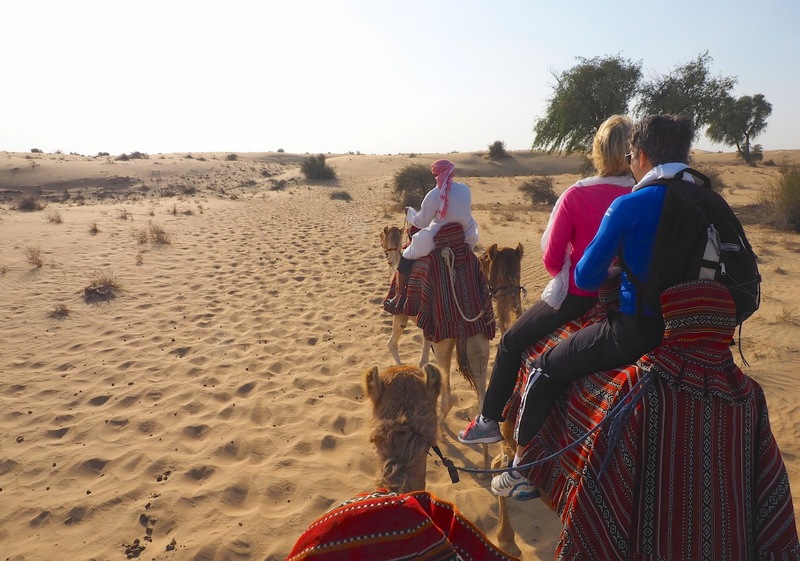 It was still a tourist activity, but I really enjoyed my camel and horse rides today at Al Sahra Desert Resort, and felt my experience was more authentic than anything else I’ve tried so far. I certainly got dirtier. 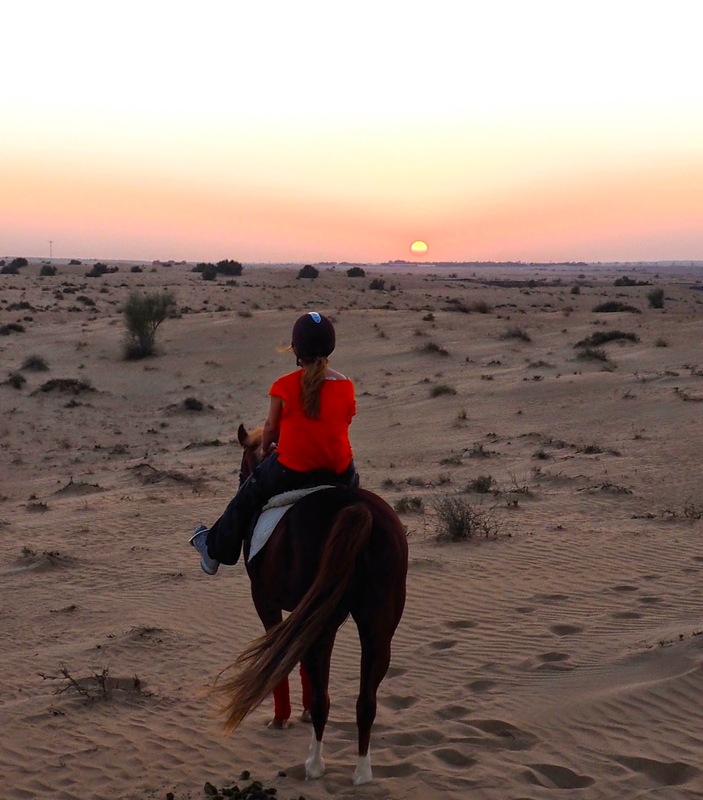 Then I went for a horse ride on another Jumeelah – not an Arab, as I’d hoped, but an untaxing chestnut quarter-horse. The guide was riding one, though, the glamorous Roxy, all high head and tail and fine features, so I was able to admire her as we walked and trotted through the dunes. With novices along, it was a fairly subdued ride (if you discount the moment of drama when a couple of gazelles sprang out from behind a bush and bounded away, taking us all by surprise). At the end, though, we were allowed to go ahead and Jumelia, so close to home, indulged in a bit of bucking and galloping that was briefly exciting. What with that and the sunset, it was just lovely, and such a treat to escape concrete and air-conditioning for a while. 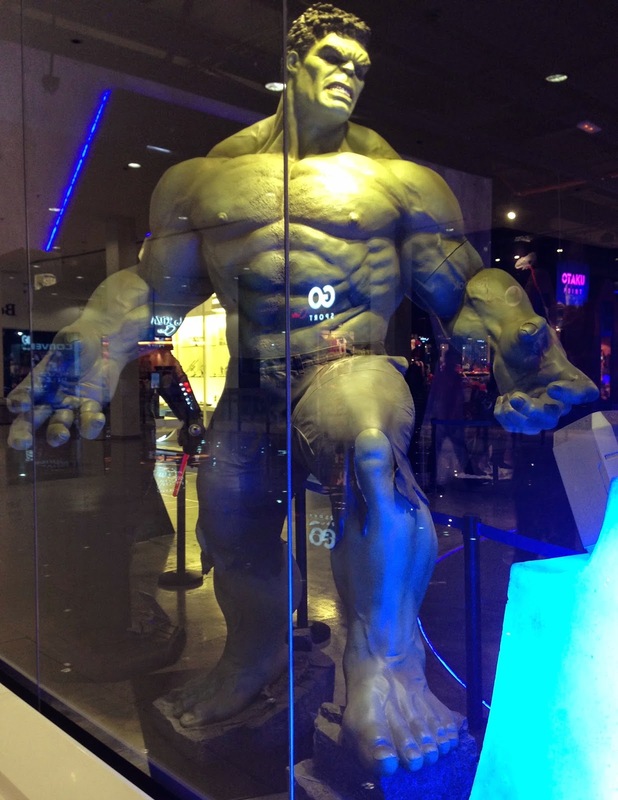 So of course, on the way back, I stopped to investigate an outlet mall, and was fascinated to discover Comicave, stuffed with comics and all-sized models including Darth Vader, Wolverine, a Dark Rider next to the Godfather, and a 2.8 metre Incredible Hulk. Yours for just the $13,000, since you ask.